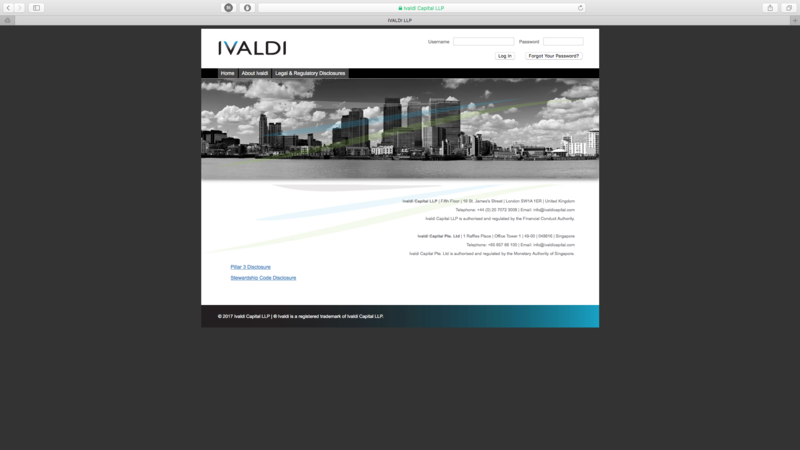 Ivaldi Capital are a London based Investment company who were looking to rejuvenate their brand and company presence. Their existing brand felt outdated, lacking a modern feel and a confidence that the company sorely needed. To strengthen their improved brand style they would also need a new, responsive website that would provide all necessary information within a smooth, appealing format. The first step taken at the Form studio was to evolve the existing Ivaldi brand. 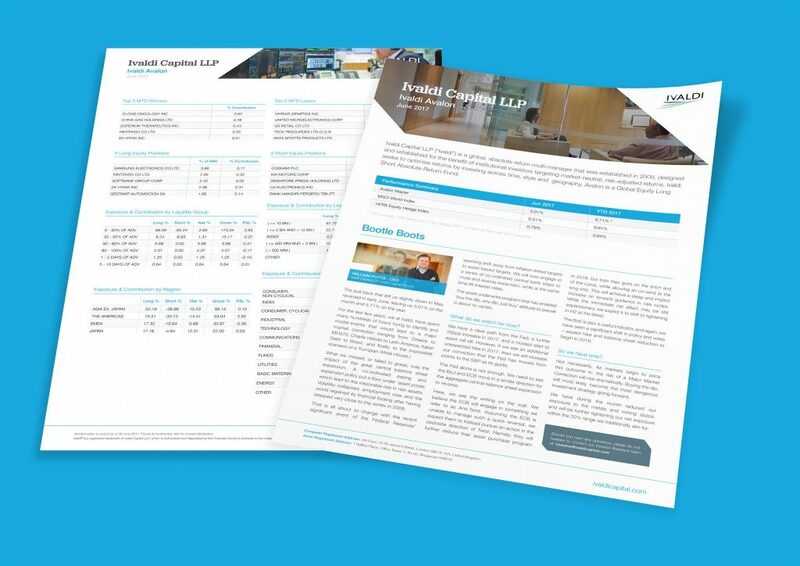 Key questions were put to the Ivaldi team to gather a firm understanding of the client’s messaging and their position the vast investment company sector. This messaging would need to set them apart from the rest and hold the ability to be seamlessly carried through their current online presence and all future online and offline collateral. 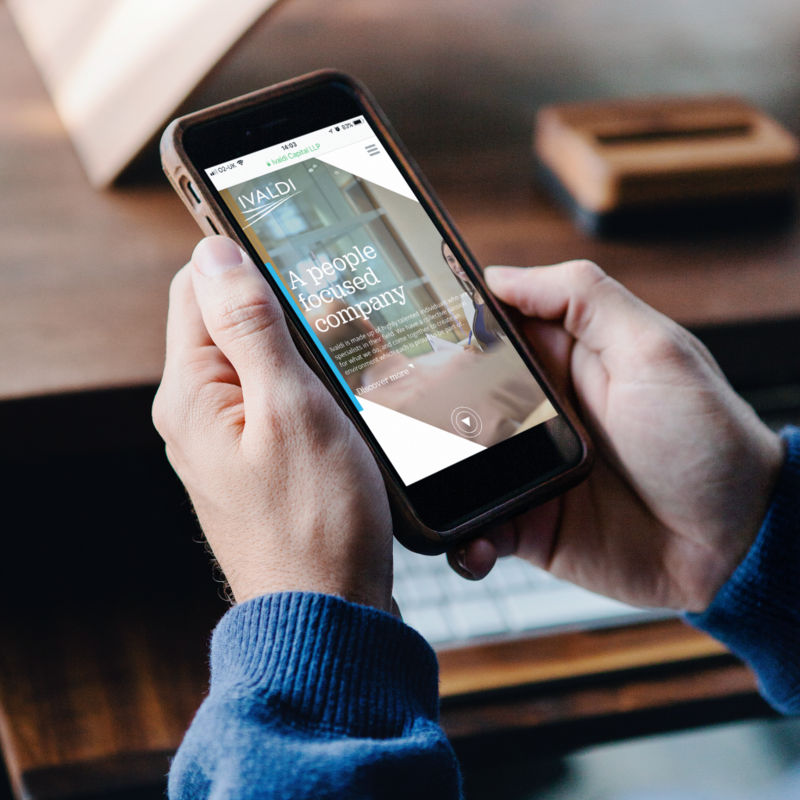 With the new brand styling solidified the goals of the new Ivaldi website were then our main focus – the style was to be modern and light yet professional, with a large focus on imagery without overshadowing the key company information. Videos would be introduced to add an extra dimension to the theme and really promote the new brands key messaging. In order to fulfil these needs we created a bespoke WordPress build with the inclusion of a Content Management System, allowing easy updates to be made as and when needed by the client. In order to make sure that the correct warmth and feel was applied to the website imagery, we put forward the suggestion of a company photoshoot. We organised the photoshoot using our highly experienced photographer utilising the Ivaldi head office and team. The shoot allowed us to capture completely bespoke imagery that will always be unique to Ivaldi. Including the actual Ivaldi team gives the site it a much needed professional and real approach, promoting the real people behind company. Communication with the client throughout this stage is vital. With content provided by Ivaldi, we sourced all and any additional imagery and video, providing various options for the client to choose and approve. By communicating with the client effectively and consistently we ensured that all initial site design, photoshoot prep and project planning was delivered and highlighted the most important information in the most effective way. Launched and live, Ivaldi Capital now has a renewed, fresh, and forward thinking presence within the Investment sector. 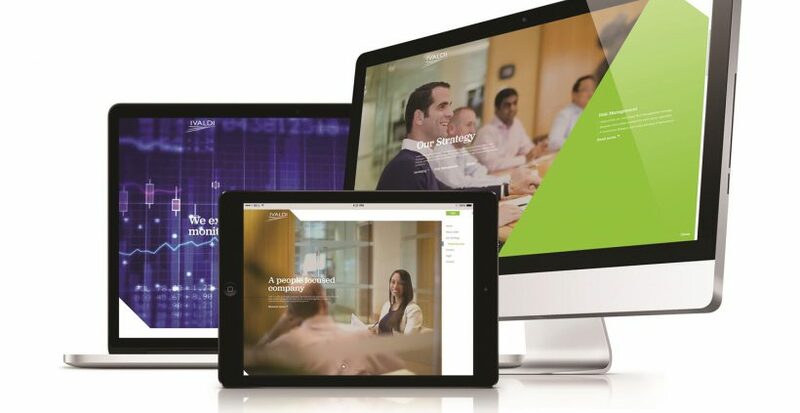 Their fully responsive, flexible website allows seamless viewing on desktop, tablet and mobile devices, ensuring that the videos and imagery used would translate successfully. Intuitive and clear navigation keeps all the necessary information within the site but without any over crowding. The brand style flows throughout with the allowance to overflow into the future online and offline collateral without breaking the connection between the two.